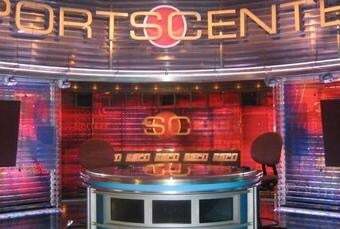 Does ESPN's "Do Not Report" Policy Make Any Sense? Still not a peep from ESPN on Ben Roethlisberger's legal troubles—and once again no Blog Buzz on SportsCenter—so as long as Big Ben keeps his mouth shut they're standing behind their decision to not stand behind this story. "At this point, we are not reporting the allegations against Ben Roethlisberger because no criminal complaint has been filed. As far as we know, this is a civil lawsuit that Roethlisberger has yet to address publicly." The implication is that if there's no criminal action and the athlete himself (or herself) has not publicly commented on it, then ESPN considers it a private matter and not "news." Several readers have already called them on this point, mentioning the Shannon Brown case, the Tony Zendejas case (filed Monday), or the O.J. case, among others. However, in all those instances, ESPN could claim that there was a criminal complaint at least tangentially related to the story. But in all those instances, the story itself was about the civil case. They have also covered many, many purely civil cases like the NFL's current anti-trust fracas, the mess regarding the Dallas Cowboys practice bubble, and—the most glaring of all—the Roberto Alomar "AIDS rumors." It seems pretty clear that they're being selective with their enforcement. It's also extremely disingenuous to say that Roethlisberger has yet to address the case publicly when an official statement from his lawyer—who is presumably authorized to speak on his behalf—was the very first thing we read about the case. ESPN routinely considers lawyers, agents, and even family members to be valid spokespeople and this is no different. Athletes, like other celebrities or wealthy individuals, face frivolous lawsuits all the time. So at first glance, a prohibition on covering every complaint that comes down the road would seem reasonable. It doesn't take much, however, for a lawsuit like this to rise above a personal squabble into the realm of real news. Ben Roethlisberger is a national celebrity and a civil lawsuit is a matter of public record. No news organization anywhere would ignore a legitimate story based on the standard ESPN has set for themselves. Dan Le Batard defended ESPN by saying that it's not being reported by "credible" outlets, which is clearly nonsense. Both of Pittsburgh's major newspapers have covered it. The Associated Press, the wire service that ESPN makes frequent use of, is covering it. Even ABC News, ESPN's parent company, has mentioned it. Roger Goodell, the Commissioner of the damn NFL, has addressed it. If it wasn't a news story before, it is now. There is no journalistic or ethical excuse for ESPN to remain quiet. So why aren't they covering it? Some have suggested that ESPN is deliberately protecting Roethlisberger to preserve their access—access that could benefit both parties financially. Even if they aren't doing it intentionally, their statement sends a clear signal that as long he personally keeps his mouth shut, this case will never reach the airwaves of the biggest sports network in the world. Perhaps they know what unleashing the ESPN newshounds would mean—Rachel Nichols doing standups in Lake Tahoe, Ed Werder prowling the streets of Pittsburgh, Chris Mortensen on the phones, Roger Cossack's floating head, Outside The Lines, Sports Reporters, thousands of radio jockeys flooding airwaves—and they aren't prepared to do that yet. It's too bad that not covering a circus just because it's a circus is not an option. Sooner or later, of course, they won't have any choice. Training camps open soon. What if a reporter asks Ben about it and he says, "No comment." Is that addressing the situation? What if there's a settlement? What if there's no settlement? Would they refuse to cover a civil trial? ESPN's stance is ultimately untenable and they know it. Caution may have been in order when the story first broke, but we are way past the point when this became newsworthy. They are the only major media outlet not covering it and every minute that goes by where they don't address the issue makes them look increasingly foolish and petty. When they do start reporting on this case, perhaps they can begin by explaining their own silence.